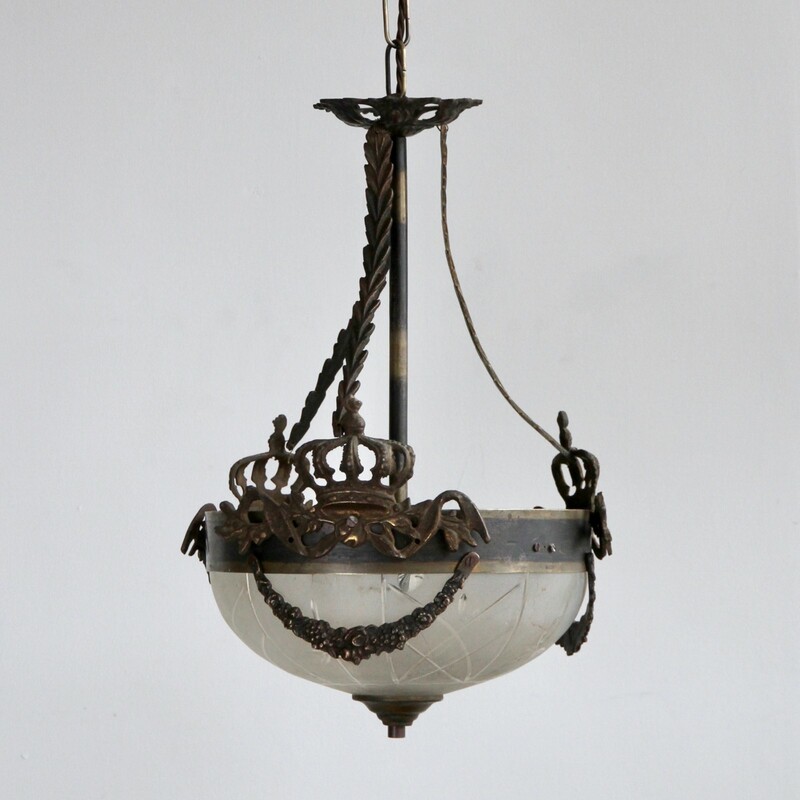 Early 1900s French pendant with brass crown decoration and a frosted cut glass shade. Pendant uses two SBC, B15 fittings. Supplied with chain and ceiling rose.